If jazz radio is a dying art, nobody told Ross Porter. Widely acknowledged as Canada’s dean of jazz, Porter was the driving creative force behind Cool TV, a short-lived but superbly programmed 24-hour jazz network, and is also the author of the bestselling Essential Jazz Recordings. 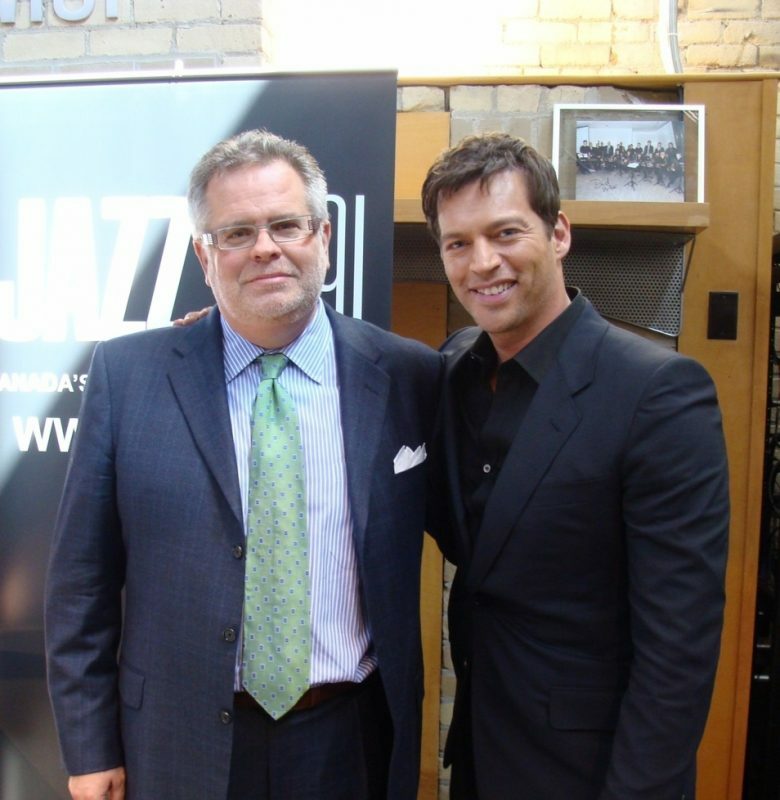 But his greatest influence has been as President and CEO of Toronto-based Jazz-FM91, a role he assumed in 2004. Throughout the past seven years he has transformed Jazz-FM91 into one of the most vibrant and versatile jazz stations on the planet. Porter’s combined skills as arts administrator, savvy marketer and sage programmer has enabled Jazz-FM91 to steadily thrive and grow, extending its mandate to include jazz education, community outreach, concerts and special events, and technological advances that have carried the station to every corner of the globe. Porter is also an astute judge of on-air talent, filling the Jazz-FM91 schedule with several of the finest, most informed talents in the world of jazz broadcasting, including Brad Barker, Heather Bambrick, Jaymz Bee, Dani Elwell, Walter Venafro, Terry McElligott and John Donabie. Recently, Porter sat down with Jazz Times‘ Christopher Loudon to discuss both the station and his lifelong passion for jazz. JazzTimes: Jazz-FM91 listeners are well aware of your history with the music and the depth of your jazz knowledge, but could you provide some background for the wider jazz audience? Ross Porter: I am broadcaster who loves jazz, not a jazz guy who got into broadcasting. I studied journalism and social communications, worked on the current affairs side at the CBC [Canadian Broadcasting Corporation] for several years, but always had a fondness for music and saw a fresh way to approach things musically at CBC. The journalistic side of music had never really been developed there, so I saw many opportunities and played a key role as a producer. I got into jazz due to musical boredom. I loved rock, pop and country. Still listen to all of it. But there was something about jazz that spoke to me. I was working part-time in a record store in Ottawa called the Treble Clef. Quality Records was distributing CTI at the time, and had lost their distribution deal; so they had all these cutouts they were selling for 99 cents. I bought about 25 CTI albums, and after that I was hooked on jazz. At the CBC I had two gigs, including a daily show that was heard across Canada and proved hugely successful. I think we were simply filling a need at the time. Our goal was to build bridges to jazz, not walls. After 10 years, [Canadian broadcasting giant] Izzy Asper came knocking and said, ‘I’ve got this idea for a jazz TV channel.’ I helped him get a couple of radio stations going, but the big thing was starting a 24/7 jazz channel, called Cool TV. We launched it in September 2003, and then Izzy died in October. Our vision was to take it around the world. We knew for it to be successful we had to launch it in Japan and also in Europe. In the spring of 2004, the [Jazz-FM91] board came calling, and it was a dream come true to run a station that played jazz 24/7. JT: When you took over the reins at Jazz-FM91, what were your key objectives? RP: First, to make it profitable. We expanded the playlist. A perfect example is that Pat Metheny was not being played on the station. Previous employees didn’t look upon him favorably. But if people aren’t listening to what you’re doing, then it’s pointless to do it. Quite simply, we needed to play more artists who the audience wanted to hear. A related objective was balancing the playlist. You can’t play hard bop 24/7. We needed to find the right mix. If you listen to stations that play pop and rock, and look at the spectrum, it includes everything from grunge to Josh Groban. Jazz is no exception. One of the unfortunate perceptions about jazz is that a lot of people assume it is one particular style and one particular sound. We wanted to demonstrate otherwise. JT: How are the programming decisions made? RP: Brad [Barker, the station’s program director and its afternoon drive host] and I meet on a weekly basis and talk about the music we’re going to add and the music that’s been played substantially. Recently, for example, we had a meeting and were listening to the Disney tribute album [Everybody Wants to Be a Cat]. To us, that’s a gift because it’s so programmable-friendly. We knew immediately that there were six tracks that we wanted to add. So we discussed, ‘Do we add them all at once? Do we add three now and add three later?’ We’re always sensitive to burnout factor. We often hear comments that the music we play is not “jazzy” enough. I always wonder if these people actually run a business. It’s great to be able to sit on the sidelines and criticize, but there are the hard realities of paying the rent and making payroll every two weeks and [covering] all the other day-to-day expenses. There’s also an odd school of thought that once an artist achieves a certain level of success we shouldn’t play them as much. Diana Krall is a perfect example. But she’s an important part of our playlist. Why would we not play her? She’s ours. She started with us at CBC and at Jazz-FM91 and we’re not going to give up that real estate. 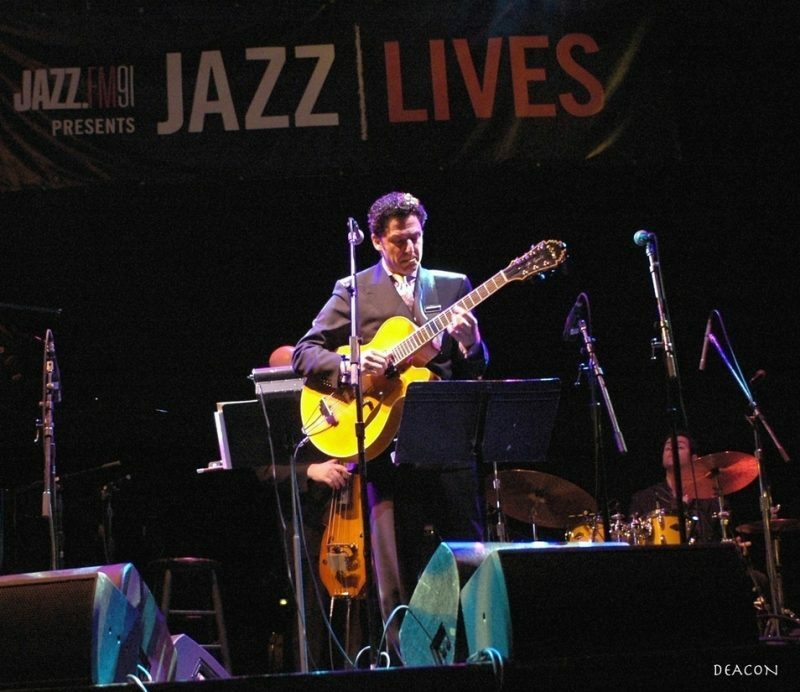 JT: One of the station’s most distinctive qualities is the wide range of specialty programs you’ve carved into the schedule, including Danny Marks’ “Bluz FM,” the Latin-themed “Café Latino” (hosted by vocalist and songwriter Laura Fernandez), and Glen Woodcock’s long-running big band show on Sunday nights. Why the decision to create so many specialty segments? RP: Café Latino is a good example. It caters to a large segment of the population. We include Latin-flavored material in our regular programming, but if someone wants a concentrated fix of it, they know they can tune in on Saturday afternoon and hear only that from 4 to 6 pm. Glen has been hosting the Big Band Show for 35 years. He is passionate about the music. He’s a great broadcaster. He’s conversational and anecdotal. He has great taste in the music he selects. Also, he is a journalist, and you can hear that in the way he approaches things. JT: One of the most popular of the specialty shows is your own “Music to Listen to Jazz By” on Saturday mornings. Why did you opt to add hosting to your many duties? RP: When they hired me, the board recognized where I’d come from and felt there was some value in keeping me on the air. It was their request. I enjoy doing it. It keeps me in touch with the music. Some weeks it’s difficult to make the transition from the boardroom to the studio, but I find it’s actually therapeutic. Most everything from it is from my home collection. The show is often where we’ll give material like the Disney album a test run. Playing Beverly Kenney was another Saturday morning test, as was Jane Krakowski. The foundation for that show is melody and good lyrics, and I made no apologies for that. I love the cabaret scene, and think it has, on some levels, gotten a bum rap. Cabaret and jazz may not live together, but they live in rooms in the same house. The Disney album is the example I’ve been using, and I support concepts like that. If you cannot market this incredible music then nothing’s going to happen. Our “Sound of Jazz” [concert] series is a perfect example. It has been going for 34 or 35 years, and when I arrived it was losing money. We were in a venue that was charging us to be there every time. When we moved it to a better, more convenient location and struck up a business relationship with the owners, and we started to market the shows, the series started making money. We just did a show called “Made In Canada” and the hook was that every person in the band was a member of the Order of Canada. It’s show business. The fact that it’s jazz doesn’t mean its exempt. 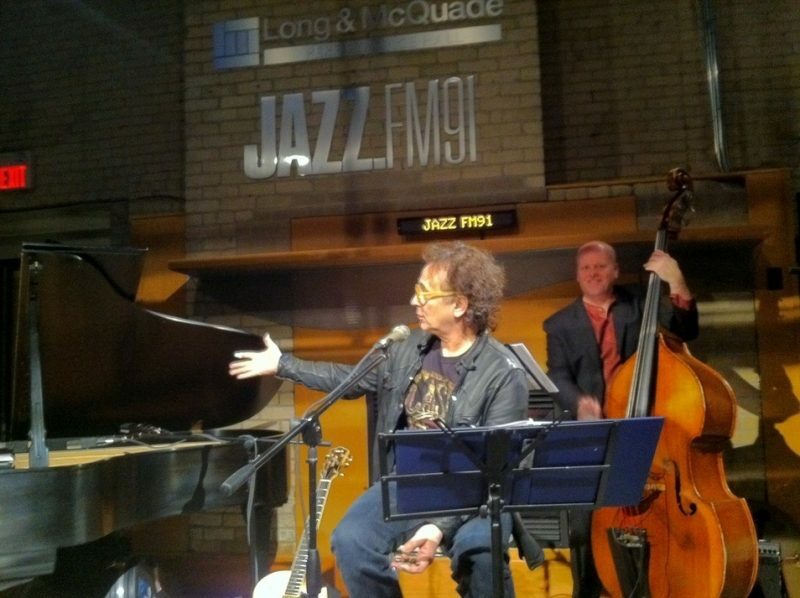 JT: On-air promos often cite Jazz-FM91 as the third-largest jazz station in North America. RP: KJAZZ in L.A. is the biggest, then WBGO in New York and then us. For a while, we were going back and forth for second place with WGBO. We’re in a city of five million and WGBO is in a market with 17 million people. That’s a testament to Toronto. Our audience base is amazing. My mandate is to develop an enterprise. We’re a small business, so can’t make major moves day after day. We build growth spurts into our business plan. Early on, we had a sense of how rapidly technology was changing. We now have four digital channels online. One is the Oscar Peterson channel. We set that up just after he passed away. Recently I was talking to our web master and said, ‘Maybe it’s time to take it down.’ And he said, ‘I just did some research and the Oscar Peterson stream has 12,000 regular listeners in Japan.’ So we kept it going. We truly are now a global village. Our iPhone app has, in just over a year, been downloaded nearly 300,000 times, and more than half of those are in Japan and Korea. We now tweet in Japanese and Korean, too. JT: The Jazz-FM91 financial model is rather unique. Can you explain how it works? RP: We are a registered not-for-profit charity in Canada. We’re allowed four minutes of commercials per hour. Most Canadian stations carry somewhere between 12 and 16 minutes of ads per hour. But our license from the CRTC – the Canadian equivalent of the FCC – states that we’re only allowed four minutes. We have many incredibly loyal advertisers and sponsors, but it’s not enough to sustain the station. So we have two fundraising campaigns per year. The campaigns bring in about 45 percent of our revenue, and the rest comes from advertising. We have a Tiffany audience – one of the most sought-after audiences in Canada. They’re well educated, the average annual income is above $100,000, they go to theater, they go to concerts, they drink wine. And our members – they number around 11,000 – genuinely feel that they own a piece of the station. We are also deeply into jazz education. We have a [student-oriented] program on the air called Jazzology that is a credited part of the curriculum at Humber College, York University, the University of Toronto and Mohawk College in Hamilton. We have a series called Jazz for Kids. Busloads of kids come to the station a couple of times a month, and we have a waiting list of about 30 schools. We’ve do documentary and movie screenings, exploring the importance of jazz in film. And we have the Jazz-FM91 Youth Band, which rehearses at the station every Saturday afternoon. JT: People wrongly assume that Jazz-FM91 is available only to listeners in southern Ontario and upstate New York, but you now cater to a global audience. RP: Go to website and you can download the app through iTunes for free. We’re heard around the world, with the largest audiences across Canada, then Japan and the U.S. People are tuning in for a variety of reasons. They’re listening to the station itself and all four of our digital streams – the Groove Yard, High Standards, our documentary channel and the Oscar Peterson stream. And we have another website called the Canadian Jazz Archives. We’re sitting on one of the largest libraries of recorded and live jazz in the country. We also put together modules for teachers across the country so they can include the Canadian Jazz Archives in their curriculum. We’re currently developing an iPad app, and we’re also creating a jazz trivia game. There will be four editions of that: one in English, one in Japanese, one in Korean and one in French. JT: Throughout your storied career you’ve met most of the major figures in jazz. What were some of the most memorable encounters? RP: Meeting Bill Evans was monumental for me. It was 30 years ago. I showed up at his apartment in Fort Lee, New Jersey. He kept getting up and down and going into the bathroom. He wouldn’t sit still. Then, he suddenly said, ‘We have to go now!’ And I thought, ‘Oh my god, I’ve flown all the way from Canada and you’ve concluded the interview after 12 minutes!’ So, we got into his car and I kept interviewing him! Out of that, I think I got one of the most important interviews with him that’s ever been done, because there was a casualness to it that was very rare. I realized, of course, that all his trips to the bathroom had to do with his drug problems. I remember looking at his hands. He’d been injecting cocaine into them, and they were swollen and discolored and twice the size they should have been. That was really disturbing to me, that this guy was destroying the instruments that defined his gift. It was a life-changing experience for me. Creed Taylor is another favorite. We’re running a four-part series on him. 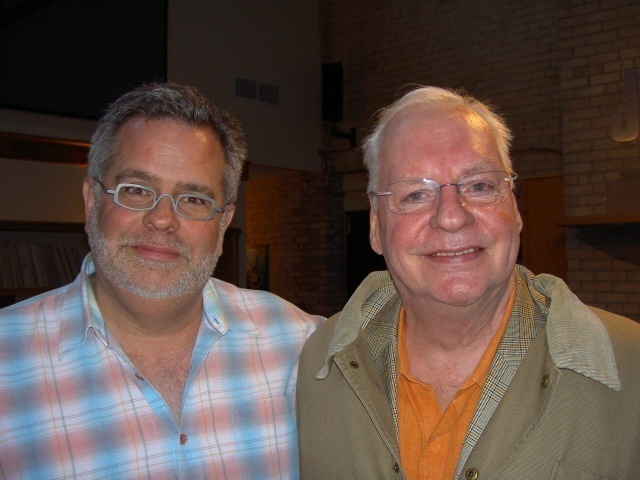 He doesn’t regularly do interviews, and it is incredible to be able to spend so much time with him, a man who shaped and molded and changed so much of jazz, the guy who understood how to create hit jazz records. He’s come under some criticism for that, but the truth of the matter is that he knew how to do something that everybody else wishes they could. And he launched a number of major careers. Spending time with Gil Evans was huge for me. I learned so much from him about the genre and a lot about his appeal as a human being. The last one I can think of is Quincy Jones. It was for a TV piece we shot for The National [on CBC]. After talking with him, I understood his appeal and why there are certain personalities that really succeed in the recording studio. I could see what it was about him, how he brought the very best out in artists. If there was every an embassy posting in a war-torn territory, Quincy Jones would be the ideal candidate. I got a real glimpse as to why this guy’s done so well. He has a great beside manner, an amazing gift, and million-dollar ears, and was absolutely unintimidating – one of the most relaxed guys you could ever meet. He walks with the masses. Phil Ramone is much the same. If you look up the word “mensch” in the dictionary, you’d find a picture of Phil Ramone. I’ve been really lucky. I love what I do, and I love the people who make this music, and the people behind the scenes. JT: And the ones you never got to meet? RP: My favorite singer of all time is Billie Holiday. I would love to have spoken to her. Also Duke Ellington. Miles [Davis] is certainly someone I would have liked to interview – or at least tried to interview. The guys who would’ve been difficult are the ones I would like to have been around, just because of the challenge. JT: Your personal jazz library extends to thousands upon thousands of albums, but if you had to choose a handful of favorites – your own Desert Island Discs – what would top the list? RP: Bill Evans’ At the Village Vanguard. Lady In Satin by Billie Holiday. Paul Desmond live at Bourbon Street, recorded here in Toronto. An album by Chet Baker, live in Germany with the WDR Big Band, recorded about a year before he died. And one that’s not fully embraced by the jazz world, Kenny Rankin’s The Kenny Rankin Album with arrangements by Don Costa. After 35 years, that one still stands the test of time.